They'll have to get past the Indians' ace to win the weekend series. Jeimer Candelario crushed a two-run homer in the bottom of the 12th inning to give the Tigers a 4-2 win over the Indians on Saturday. Detroit bounced back from an agonizing loss the previous night, when Cleveland's Jason Kipnis hit a three-run, tiebreaking homer in the ninth. The teams were a combined 2-for-19 with runners in scoring position on Saturday. "It seems like everybody's trying to hit the home run to win the game and it goes like that," Detroit manager Ron Gardenhire said. "It's just an amazing thing. "It always happens when those games get like that. You know it's going to come down to a big swing eventually and that's what happened with Candy. It's a nice win for us. Long night." On paper, the pitching matchup on Sunday looks like a complete mismatch. Reigning American League Cy Young Award winner Corey Kluber will be opposed by Tigers spot starter Artie Lewicki. Kluber could collect the Cy Young again with the way he's overpowering the opposition. He has allowed a combined three earned runs in his last five starts while winning four of them. He hasn't issued a walk in those outings while totaling 38 strikeouts. Kluber has gone 139 batters and 35 1/3 consecutive innings without a base on balls. "He's such a pro," Indians manager Terry Francona said. "He and Gomer (catcher Yan Gomes) have a great rapport together and I'm sure he's fun to catch, because he's just in such command of what he's doing." In his last appearance on Tuesday, Kluber (9-2, 1.96 ERA) held Milwaukee to one run in seven innings. He overwhelmed the Tigers in his only start against them this season. 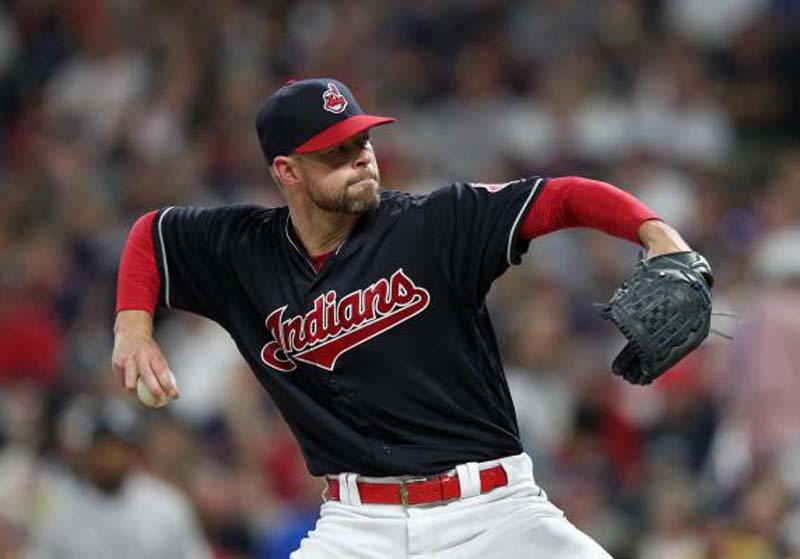 Kluber tossed eight shutout innings while giving up two hits and striking out a season-high 13 on April 9. He's 9-7 with a 3.75 ERA in 23 career outings against Detroit. Tigers first baseman Miguel Cabrera is one of the few batters in baseball who sees the ball well against Kluber. In 60 career at-bats, Cabrera has three doubles, six homers and a .383 average against the 32-year-old right-hander. Gardenhire will check with his veterans before filling out the lineup card. "Guys are going to be a little worn down," he said. "I'll have to take a measure of some of my veteran players and see how they're feeling and go from there." Lewicki started six games with Triple-A Toledo before getting recalled to the big leagues. He posted a 3-3 record and 5.06 ERA with the Mud Hens. He's 0-1 with a 3.86 ERA in seven appearances with the Tigers. Lewicki made his second career major league start at Boston on Tuesday. He gave up four runs (two earned) and five hits while walking three in 3 2/3 innings. The 26-year-old right-hander did have a stellar relief appearance against the Indians on May 16, tossing four shutout innings.